Design and produce a method to automate the ALTA land survey to significantly reduce the time and expense required to complete it. The Land Survey Automation Challenge aims to significantly expedite real estate and financing transactions, by drastically lowering the cost and time burden of the land boundary survey. The Challenge seeks a technology that efficiently and remotely automates the land boundary survey process. We welcome entrepreneurs, researchers, scientists, students, and anyone eager to contribute, to jump into this challenge and to find a solution. To register for the challenge, click the “ACCEPT CHALLENGE” button above. What is an ALTA Land Survey? While these surveys are industry standards, some states and countries can set their own standards for land title surveys. **For the purpose of this Challenge, all competitors will need to follow the US guidelines set forth by ALTA for survey precision standards. All other current ALTA standards that may be replaced by technology (i.e. 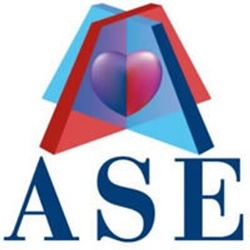 : on-site surveyor) are not required for eligibility. ALTA surveys loosely consist of two portions: the on-site field survey of the property and the discovery of all legal documents pertaining to the property (learn more about the title search). This fieldwork survey locates not only the boundaries of a property as specified in the land title, but also any improvements, monuments, utilities, and anything else that is physically located on the property pertaining to the title. This information is notated on a map of the property with notation explaining the maps' relation to any pertinent legal documentation. This map must show any monuments, boundary descriptions and dimensions, rights of way, easements, buildings, lines of possession and improvements along the borders, as well as utilities. We recognize the significant burden of discovering all legal documents pertaining to the property, as well as the importance of related documents to conduct a land survey. We are focusing all efforts of this prize on the technological progress and innovation specifically as it pertains to the land surveying component. As such, any leg work required for teams to acquire historical documents in order to perform a survey does not need to be calculated in the overall time or human intervention factors of this challenge. For additional information regarding ALTA Surveys, please visit the Resources added to the Challenge Page or see a comprehensive summary here. Anyone is welcome and encouraged to enter the Prototype Phase, whether or not you participated in the Concept Phase. The ALTA Land Survey Automation Challenge will award prizes totaling $102,500 USD. Concept Phase: Meet the winners here! October 12, 2017, 9:00 am PST First submission to meet the requirements will win. The Prototype Phase provides an opportunity to demonstrate how your solution works. Individuals and teams must build a working prototype of their technology, conduct two ALTA land surveys, and complete the Prototype Phase Submission Form detailing their achievement in the fulfilling the challenge criteria. Upon declaration, The William Warren Group will evaluate the first entry under guidance from relevant experts. Innovators may be required to provide additional information and/or further proof of a working prototype. Once preliminarily verified, the declaring individual or team will be invited to attend a Demo Day event held at The William Warren Group headquarters located in Santa Monica, California. The William Warren Group will host an in-person survey to be conducted at a storage facility in the greater Los Angeles area. If teams are unable to attend the event, they must be able to send all required equipment to The William Warren Group headquarters, complete with a detailed set of instructions for a 3rd party, neutral operator to perform the required survey. The Grand Prize Winner will receive up to $70,000, and reimbursed with up to $5,000 to help cover the costs of travel and accommodations. 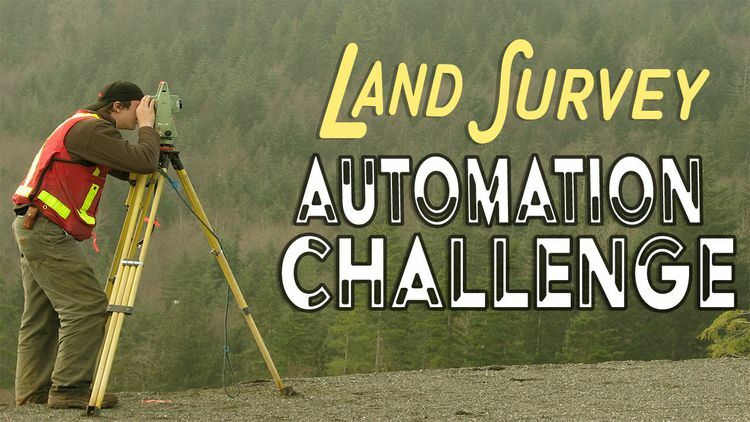 Challenge Goal: The winning team must prove automation of ALTA land surveys by conducting, from start to finish, two land surveys in less than 15 hours per survey (excluding the time required to collect historic land title information). ALTA surveys conducted for two commercial self-storage facilities that are each on at least two acres of land and contain at least 750 storage units. Able to collect survey data from a range of at least 5 kilometers from the operator (if there is an operator). Less than 10% of the time it takes to generate the report (from the completion of the survey data collection to the production of the final deliverable) requires human activity. All required land data can be collected and the report can be generated within the minimum time threshold of 15 working hours per survey. Solution is able to securely store and manage all required amounts of spatial information on the cloud, accessible in real-time. Note: We recognize the significant burden of collecting historic land title information, as well as the importance of related documents to conduct a land survey. We are focusing all efforts of this prize on the technological progress and innovation specifically as it pertains to the land surveying component. As such, any leg work required for teams to acquire historical documents in order to perform a survey and generate a report does not need to be calculated in the overall time or human intervention factors of this challenge. In the event of a close call, judges will ultimately rank leading submissions on the level of Complexity: Competitor selects two commercial self storage facilities that contain a level of complexity, in order to prove competency with higher-level automation. Such complexities can include but are not limited to: property size, Table A criteria fulfillment, previous survey errors, discrepancies between monuments found, abundant vegetation, weather conditions, and rural versus urban setting. Up to five top scoring teams will be recognized with up to $5000 award each. The ALTA Land Survey Automation Challenge is open to all individuals, private teams, public teams, and collegiate teams. Teams may originate from any country. Submissions must be made in English. All challenge-related communication will be in English. For the purpose of this Challenge, all competitors will need to follow the US guidelines set forth by ALTA. No specific qualification or expertise in the survey field is required. Challenge organizers encourage outside individuals and non-expert teams to compete and propose new solutions. To be eligible to compete, you must comply with all the terms of the challenge as defined in the Challenge-Specific Agreement, which will be made available upon registration. Submissions must be made online (only), via upload to the HeroX.com website, on or before the stated deadlines. All uploads must be in PDF format. No late submissions will be accepted. The determination of the winners will be made by a group of people including experts in ALTA surveys, machine learning, aerial data collection, data management, general technology experts and more. Post-prize activities may include efforts to commercialize the winning solution developed in the competition. The winning team has an opportunity for additional collaboration with William Warren Group, via a partnership to commercialize the winning technology. Exact terms will be mutually negotiated.